Bullet Tooth’s very own metal outfit, Serianna, have finally announced their cover song they will be releasing to the public very soon! They have covered the song “Lose Yourself” originally performed by the Hip Hop extraordinaire Eminem. 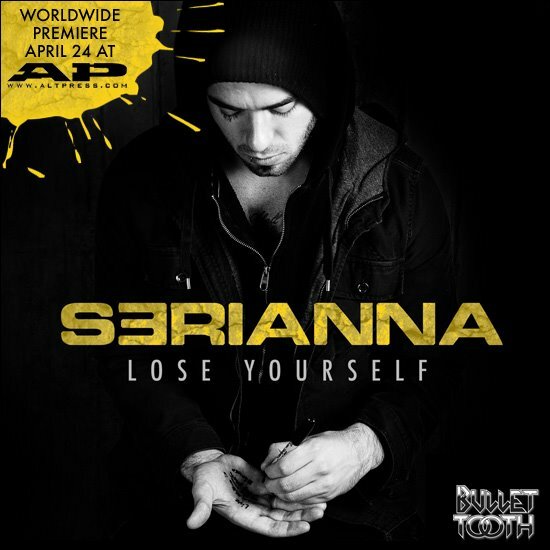 The track will be available for stream exclusively on Alternative Press’ website on April 24th 2012. You will also be able to download the track on any major music webstore. You can check out more information on the release here, as well as their upcoming tours and other music updates for the group. Who’s excited? This girl. Keep an eye out for additional updates as they come out!